Phone Solicitor: I'm sorry Officer, a Jay Man86 gave us this number at the County Fair, we were trying to verify his info to give him his Prize. He must have gave us the wrong number, we're sorry, he's stupid, thanks for your time. Plenty of 'Legitimate Companies' use telemarketing, or did you really think "Sign up to win a Free Truck" boxes are there to Give away a Free Truck... It's data mining in it's purest form... if even 1 Person in 50 entries buys a New Truck, the Free Truck has paid for itself and the Hourly wage of the Phone Monkeys who called you. 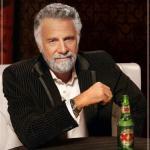 I DON'T ALWAYS TALK TO TELEPHONE SOLICITORS... 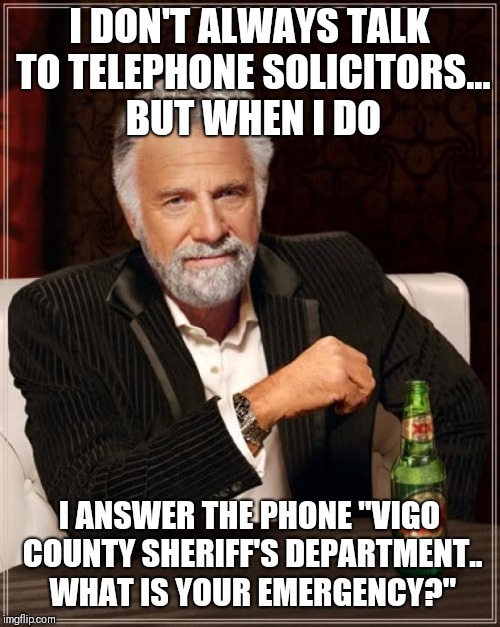 BUT WHEN I DO; I ANSWER THE PHONE "VIGO COUNTY SHERIFF'S DEPARTMENT.. WHAT IS YOUR EMERGENCY?"